It’s here! The very last Art Fact album ever just arrived from the press, and we are sending the pre-ordered copies out now. If you want to order it after its general release on June 3rd, head over to our bandcamp page, where we will also sell the vinyl record. The release party will be held at Synth After-Work in Stockholm on June 3rd. For more info on that, head over to the Facebook event page. Posted on 05/25/2016 Author mansCategories NewsLeave a comment on Get Ready for Closure! 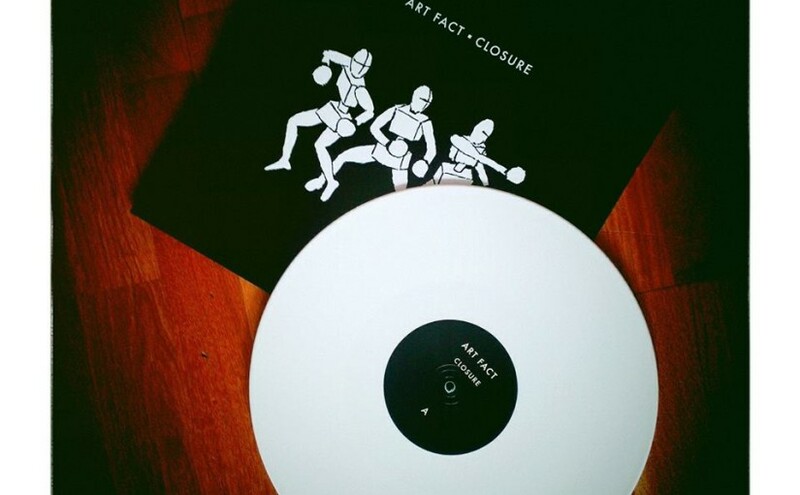 Art Fact – Closure will be released on vinyl in a very limited (250 copies only) vinyl edition, and contains the songs we re-recorded for our live shows during the last year. New and great versions of Art Fact classic songs such as Building and Rain in the South are on there. 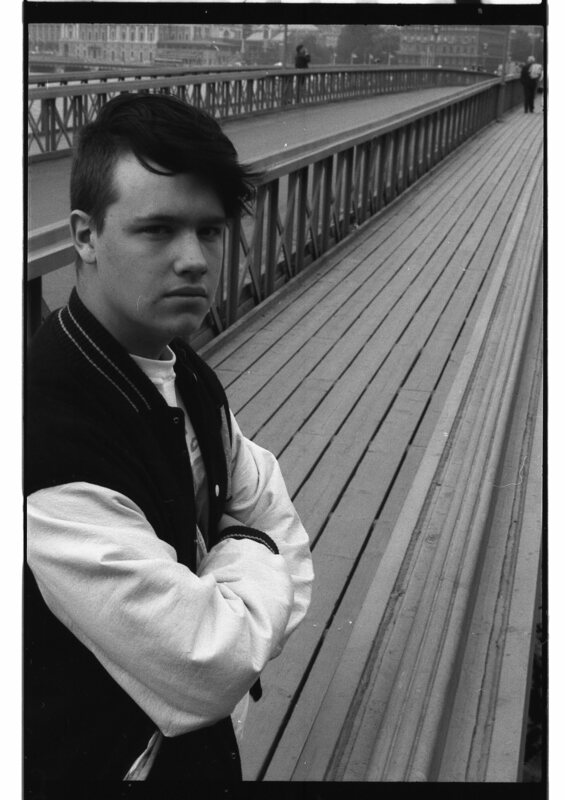 To get the album, back our Kickstarter now, just click here! Posted on 01/08/2015 01/11/2016 Author mansCategories NewsLeave a comment on New Release in 2016! 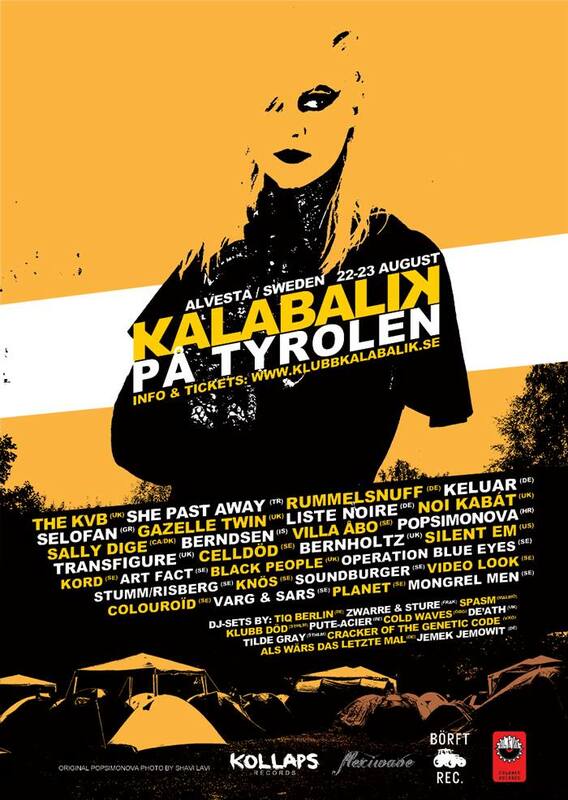 We are very happy to announce that we will be playing live at the wonderful Swedish synth festival “Kalabalik på Tyrolen 2014” in Alvesta, Sweden, on the second day of the festival, August 23. 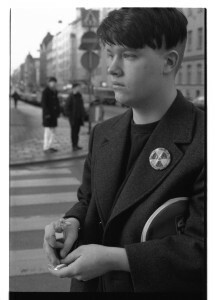 Dandelion Puff is an instrumental track, and the last song on the Nuclear Princess cassette. I actually don’t remember much about it. It’s mostly a collage of samples, with a windy loop being the foundation. The spoken samples were recorded with a microphone in front of Jonas television. It’s not like we searched for the perfect sample, the cartoon just happened to be running at the moment. Turned out fine, didn’t it? Since there were no lyrics, the naming of the track was an open question. I was always on the lookout for good-sounding English phrases, and this one came from the name of a Winnie the Pooh drawing. 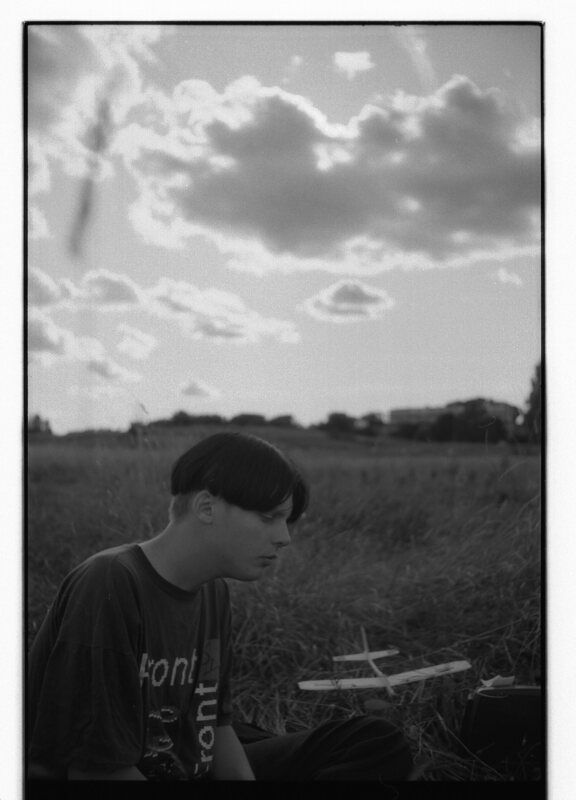 Quite wimpy for a synth band that wanted to be cool, it was originally intended for the indie band I also played in. So the Song A Week series stops here, but we might have more stuff from the archives waiting in line… Until then, have a great summer! Building was the first song of ours that made it on to an official release, when we sent it in to a brand new label called Memento Materia. We were very excited when Building was selected to be on a compilation CD called Illuminative, which today is something of a classic in the Swedish synth scene. Later, when Memento Materia turned 20 years, the song was once again on a compilation of theirs, this time for a “best of” called Get Electrofied, which again made us very proud. The other thing is the brilliant synth melody in the break. Anders wrote that, and if memory serves me right, this particular melody was initially written for DKW, but when Anders was trying to write a melody for Building, he thought that the one he came up with would be better in DKW, so they switched places. Today, it’s hard to imagine the two melodies switched back. I think Building is a pretty good song today, but it is suffering a bit from our heavy-handed approach. It’s got a good melody, and an actual chorus, but the vocals are a bit sour and boring. 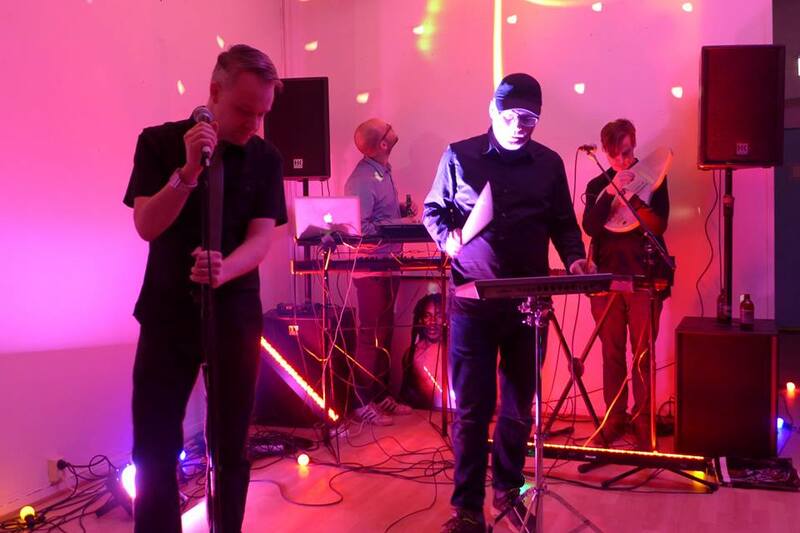 When we reunited Art Fact last year to perform live for the first time in 20 years, Building was on the shortlist but didn’t make it to the live show, much to the dismay of some fans. This song was written towards the end of the Nuclear Princess sessions, during a phase where we just wanted to finish it. And you can tell this by the result; the different parts in Lies doesn’t really gel. We probably started with the instrumental chorus, which is actually pretty good. A nice melody line (or “slinga” as we say in Swedish) with some DM-influenced chord changes, and a really nice resonant bass line (probably courtesy the Roland Juno 106). 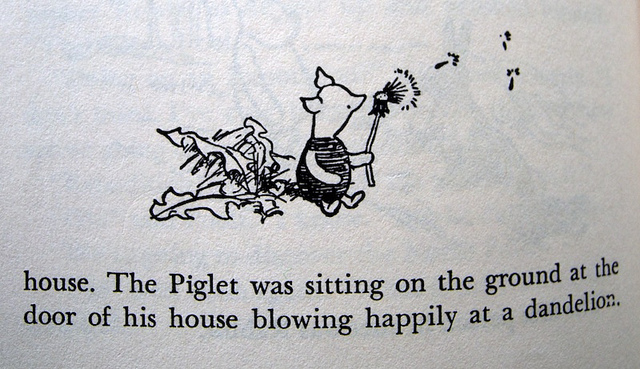 I like that part! But the verse and intro are a bit below par. The verse is a return to the more bluesy chords and vocals that we used on In Fact, which is nice. But it’s really stiff, and rhythmically doesn’t fit between the intro and chorus. And yes, the intro… As far as I remember we did it first as kind of a joke, with acoustic sounding drums (sort of forbidden) from the Roland R-8 and a sampled trumpet from the Roland S-330. But in a combination of being quite tired of our own gloom, and desperate to finish the lengthy sessions, we decided to keep it. In hindsight, humour is a tricky thing in synth pop. 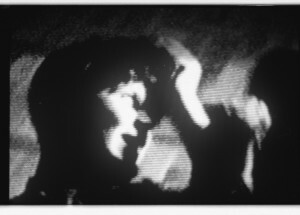 But together with the sample (from a cartoon, recorded live with a microphone in front of the TV-set ) it at least has a sort of weird Yello-like atmosphere. In conclusion: we should have worked harder to make the best of the original chorus idea, and kept away from humour. We played a few songs at Jonas birthday party. Lots of fun! Posted on 04/15/2014 Author andersCategories NewsLeave a comment on Art Fact live again! Here is at least something which sounds a lot more like a classic synth pop song on this cassette! We were working so hard to make ourselves sound “harder”, but here we have a nice tune that we managed to squeak through anyway. We’ve got an unidentified synth doing the bass line, it could be the trusty ole Juno-106, but it doesn’t sound like it. The Juno is definitely there though in the pads. Also, the S-330 sampler is working hard again with both sound effects and drum patches. Jonas combining two of his passions, synth posing and aeroplanes. For once, we also made the second verse something else than a cut-and-paste of verse one, at least in the soundsphere. We’ve got a nice arpeggio which sounds like another Juno-106, adding some texture and movement to the song there. The vocals are nothing to be happy about today, I sound totally crappy, and without emotion. This was definitely by design, but it was one of those choices we made back then that I wish I could go back and change. We wanted to be cool, but ended up taking away a lot of the “soul” in our music that had made Art Fact what was different. Lyrics are forgettable as well. The “blocked by fear” line is ripped off from the Front 242 song “Gripped By Fear”. Oh well. I remember coming upp with the riff for this song, just noodling around on one of our two Juno 106s in our studio (a.k.a Jonas’ brother’s bedroom). It was one of those moments where you know that one little idea will last for a whole song. The title was probably set when saving the sequence in the computer, long before any lyrics were written. I have a vague notion it was inspired by the Twice A Man album (and live show) Driftwood, that at least I was very into at the moment. Besides this there are the usual suspects: Roland Alpha Juno 1 on bass, Roland R8 on drums, and the Roland S-330 playing some noise probably sampled from TV. Altogether a minimalistic yet powerful soundscape. The overall feeling is very gloomy, including Måns’ vocals and lyrics (“The sky is so grey” etc). A bit like the February weather here in Stockholm at the moment actually! My favourite part of this song is the bell “solo” towards the end. I think it was played live and improvised by Måns. It’s a nice mix of being almost sequenced, but with some variations that stick out. Is there an arpeggiator with some randomness? Would be great. 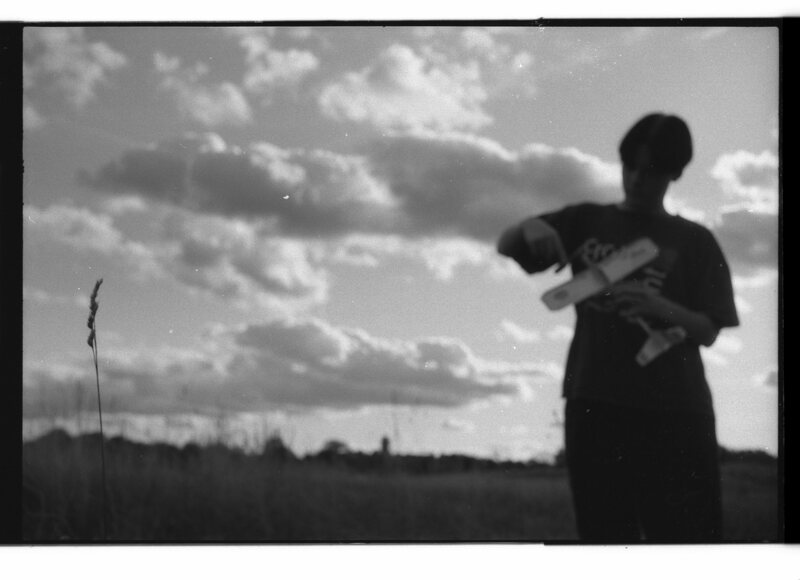 Leading off the “B-side” of the cassette we have the track which gave its name to our compilation vinyl released by Dödsdans Rekords a couple of years ago. I don’t know why the nice guys at the label decided on that name, but I quite like the title actually. Somehow it lends a nice atmosphere to the song, and it goes well with the sound. We start off a bassline I don’t remember which synth it cam from. It doesn’t actually sound like any of our regular sounds, but it might have been the Roland Juno-1, since we were using that a lot during this time. During our The Nuclear Princess era we experimented a lot with sampling, and the intro has a submarine sonar sample going during the bass line. Then we immediately go into the beat and the very narrow pad, again I don’t really know what synth that is. Måns, eating Pez, carrying a table tennis racket. During the verse, I can hear a weird reverse-pad that is most definately a Juno-106. And we’ve got a slow verse which finishes in a hilarious turn which I know Anders hates and I am fond of. :) We only had one effect unit to use for the vocals, an Alesis Microverb. Since we really wanted the reverb in the chorus to be as large as possible, but we wanted a shorter reverb during the verse, we had to manually switch the effect during mastering, which makes the reverb “die” at the end of the first verse and start over in the chorus. It sounds weird, but somehow I think it just adds to the relative minimalism of the track. During the break we take an actual break, and listen to sea gulls. Yep. That’s the kind of stuff we were into. I don’t remember why, or how, but the sea gulls are all alone on this track for a good 15 seconds and I guess we wanted to make the listener feel something. Do you? All in all, not a very memorable song, and I think it could have been a lot better. The bass line is very nice, and the vocals are pretty good, but the drum beats are too monotonous and boring.